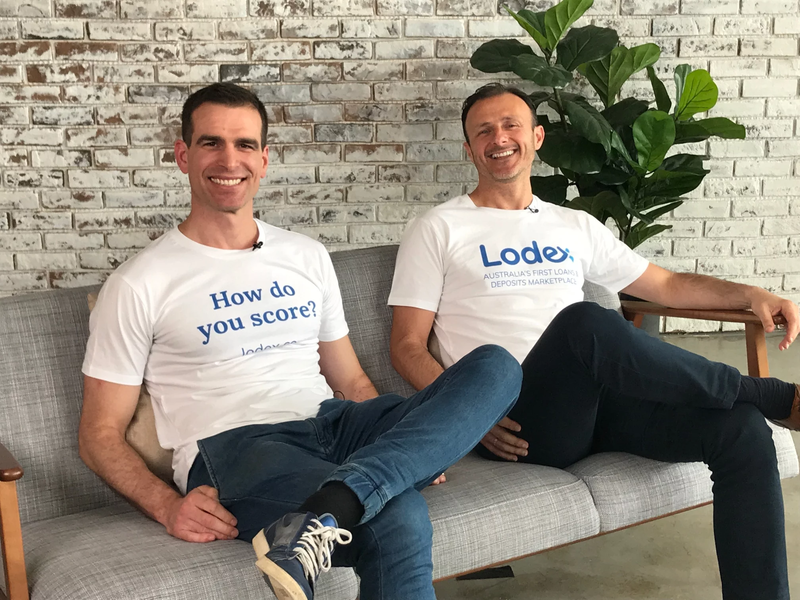 We wanted to give you a little insight into the masterminds behind Lodex.co Besides having the desire to flip the financial industry on its head and challenge the status quo they are genuinely great guys. Why did you create Lodex? Mic – We know that customers want the best deal they can get access to, online and with speed. So, instead of consumers going out to seek the best deal, we wanted to bring the market to consumers (like eBay or Trivago for banking) by way of a bidding platform, they can now have the power in the interaction. There was a huge gap in the market for consumers not being able to easily access tailored loan or deposit product rates (fair rates) for their own unique situation, so we created it. Bill – Working for many years for big banks we have seen all the inefficiencies that existing traditional procedures have and the barriers that those inefficiencies create for the consumers, including the negative impact on society growth. When it comes to banking it’s all about trust, and trust is built through time, as time reduces the risks of lack of information. But today the plethora of data and the revolution of the digital processes will have an enormous impact on risk mitigation. People leave their digital footprint everywhere and this information can definitely compliment the information that banks need to assess applications fast and ensure the trust from the very beginning when engaging with consumers. We also know from our years in banking that if consumers know about their credit worthiness (thought their Credit Score) they could definitely be in a better position to negotiate better rates and this levels the playing field. Also, currently why should banks know more about consumers than the consumers themselves? We want to bring some balance into this relationship, in terms of information like any other contractual agreement has, and this is why we want Lodex to democratize the relationship between borrowers and lenders. We think this is a great target to succeed. Why is now the right time for Lodex? Bill – Financial Services are undergoing a huge revolution, the first really since the inception of banks. This process has accelerated in the last decade due to data availability and the digital world we live in. Lodex is designed with exactly this vision in mind, to make use of the most recent technologies (Credit Scoring, Social Scoring, Biometrics, Blockchain etc.) in order to be there in the next wave of financial services and to play a significant role in creating a competitive landscape. Consumers should not have to pay more than they need to and they also have grown to expect a similar experience to platforms like Facebook, Amazon, eBay etc.… so it is time for financial platforms to step up. We want people to enjoy using Lodex and it to be as simple, easy and quick as possible. Mic – Banking and financial services is moving towards becoming dominated by marketplace business models where consumers can access banking solutions from a range of product providers (choice of banks) and in real-time, online. We are seeing this trend happen offshore, so in Australia if it isn’t Lodex, it will be other players that will occupy the space. What is a highlight to date? Mic – The greatest highlight is seeing Lodex’s member base click over 15,000 in just over 4 months which validates the platform and consumer need for Lodex’s offering. Bill – One big highlight is all the positive feedback we have had from members using the platform. Consumers love it from a user experience perspective, but also love the power that the platform gives users while they are looking to engage a financial services provider. This has resulted to over 15,000 members in such a small time period. What do you think you, as individuals, bring to Lodex? Mic – I bring a strong understanding of how information technology (IT) is transforming financial services; I have lots of experience in sales and distribution of banking products through organisations directly and via brokers. I also have strong business development, relationship management and networking skills and advanced communication and PR skills. And a lot of grit. Bill – I have a lot of in-depth expertise in banking, both from the operational and distribution perspective though two quite successful careers. Also I really want to give more and add more value to the community. I have a passion for change and a vision for the financial industry that I know we can do much better to help the community grow. Tell us a career highlight? Bill – Of course… the inception and creation of Lodex. Mic – Contemplating how to best reach more Australians and let them know about Lodex. Bill – How we can improve the platform more and make Lodex the one and main hub for all Australians that are engaging financial services providers. What is your startup productivity secret? Mic – We are a goal-focussed team and ensure that our operating rhythm is set up in such a way that our business makes progress every day. After all, as a small business, productivity is critical, as we need to ensure that we are as efficient as possible with our time and capital. Otherwise, we will not be able to deliver on our goals or vision, which will ultimately fail our customers. Bill – We are used to tight targets, deadlines and lots of competition in our industry, and this makes us consistent in adding value every single day and always looking for ways to improve and optimise. Continued improvement and working on changing things and be better than your competitors are the key drivers of where we are today. What are you most excited about the future? Mic – The opportunity to expand the Lodex business model into another market. Also to see what else we can create and develop to improve the system. Bill – To see our model implemented in many markets providing more and more people with access to a really competitive and seamless financial services landscape. Mic – The world stands still for no one, so if you’re not moving, you’re not moving. Bill – Can’t wait to see Lodex become part of every Australians’ day-to-day life! Lodex is Australia’s first loans and deposits auction-style marketplace. Mic and Bill have such an amazing job to create such a sophisticated and easy to use platform. We can’t wait for more and more Australian’s to benefit from getting great rates.